Offered in well used condition with some previous repairs evident, front axle requires re-fixing to the car. 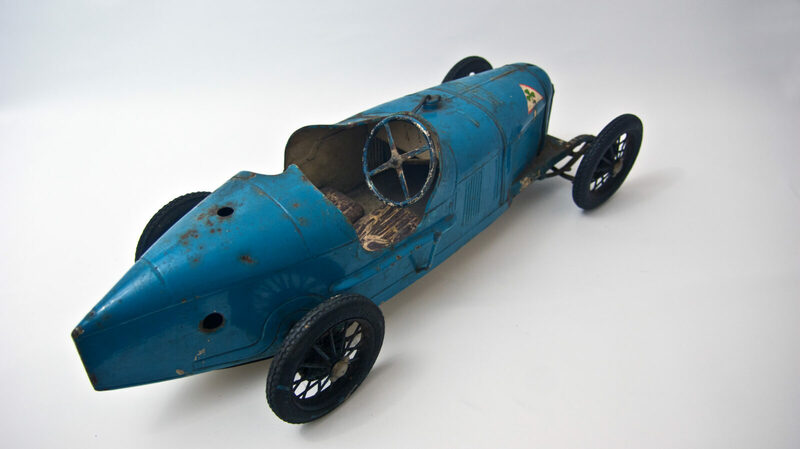 Originally produced as a celebration of the hugely successful Alfa Romeo Grand Prix car evolved by the gifted Vittorio Jano in 1924, the original colours of the first series were intended to be representative of the racing countries – red for Italy, green for Great Britain, white for Germany and blue for France, amongst others. 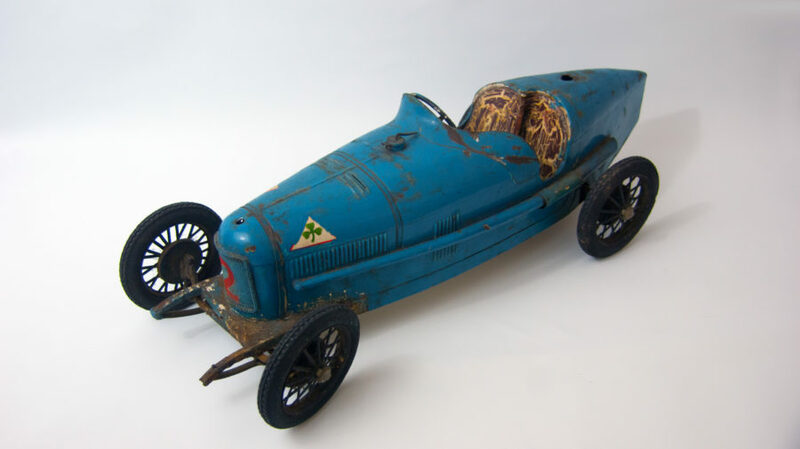 The second series of the toy was released in 1930, this time with treaded Pneu Michelin tyres.